What do you get when you combine 180 students, 12 members of crew, 5 concert managers, 2 special guests, 6 conductors, 6 ensemble coaches, 2 accompanists and a phone loaded with the Twitter app? The Junior Trinity Winter Festival at LSO St.Luke’s, home of LSO Discovery. Over a weekend in November, we ran an action-packed weekend of workshops and concerts, with five public concerts over two days. Want to know how we did it? Read on as we go behind the scenes. Our first major challenge was that our hire van was smaller than we had originally booked. Tom and Phil got in contact with Naomi, one of our concert managers, to prioritise what needed to go on the van. They then had to book taxis to get the rest of the gear over – including a harp! Our concert managers make the day appear to run extremely smoothly for the conductors and students even when we are dealing with challenging situations. And what’s the key? Make quick and informed decisions, discuss things in a cool and calm manner. Everything will be alright in the end. We started the festival with ‘A Creative Orchestra’ workshop. We were delighted to have special guests, composer Fraser Trainer and saxophonist Simon Haram to lead the Junior Trinity Symphony Orchestra alongside guest tutors as they explored what it is to be a creative orchestra. The workshop was designed to give our Symphony Orchestra musicians an opportunity to experience working as an ensemble away from conductors and notated music. We even had some of our concert stage team playing – they’re a multi-tasking bunch! Fraser started by getting the orchestra to make music together as quickly as possible, dividing people into groups, giving them building blocks of melody and harmony, and weaving the sections together into a musical tapestry. Less than an hour into playing and they were already sounding great. After sharing their small group work, the musicians were split into smaller groups. Fraser mixed up the instruments this time as he wanted the students to experience working with musicians they wouldn’t normally sit near in the orchestra. Our first audience of the weekend began to arrive amongst this musical chaos. Guests were seated whilst the musicians worked, giving parents and friends the chance to see how the students worked together to create a polished final piece. The musicians returned to their regular seats in the orchestra while Fraser and Simon led them in putting together the jigsaw of elements they had created during the morning. There wasn’t much time to revel in the success of the morning. We had another two concerts to rehearse and perform that day so the team had to quickly reset the stage for Big Band rehearsals. Rehearsal times are generally quite short on concert days. We try to give each ensemble time to rehearse their music in the space, while allowing us enough time to change the stage set up between each one. We’ve also got to confirm the layout of stands, chairs and instruments. The concert manager oversees the team as they quickly overhaul a space ensuring all our musicians are in the right seats, the conductor is happy and that we’re on schedule. It can be a tough job keeping everyone happy and keeping to time. After a busy afternoon of rehearsals, we moved swiftly onto concert number two. We just had enough time to stop for a quick photo backstage! Then it was action stations. We had to clear the auditorium and reset the stage for a full Symphony Orchestra rehearsal. The concert team did the changeover in 20 minutes (a tough job for the best stage managers) and swiftly grabbed their instruments, ready to play. It’s not long until 10 o’clock arrives and we’re completing the last of the jobs for the day and preparing for tomorrow. Some of our crew have been working for over 15 hours so it was time for everyone to get a good night’s sleep before another day of exciting concerts! Day two kicked off with the Early Music concert rehearsals. Many of the soloists and ensembles had performed in the Royal Greenwich International Early Music Festival the previous week in the Old Royal Naval College Chapel. Madeleine – our Graduate Intern – was ready to lead our concerts team, having managed her first JT concert the previous week. We had a beautiful harpsichord on loan from Ed Pickering for the day, a copy of the Rucker-Hemsch at Hatchlands. The original was made in 1636. With fewer instruments and no ensemble larger than five musicians, this concert provided the perfect musical soundtrack to a Sunday lunchtime. The team got to sit in on most rehearsals with occasional resets to change the layout of music stands. Students and ensemble coaches were well prepared and the concert went off without a hitch. We were almost on the home straight! The evening concert was my first time as a Junior Trinity concert manager. Having been at many of our concerts over the last few years, I felt well prepared and a little bit nervous about juggling so many different elements all at once. I had to make sure the set up was correct. This is where our wonderful team work comes in. The crew were on hand to set the stage for Intermediate Stings then Tom, our crew team leader drew up a stage plan for me. Conductor Dan James made slight changes to seating several times in the rehearsal but luckily every time I looked around to remind Tom he was already on it – marking the changes ready for the concert. I felt a little mean when I had to stop Dan’s rehearsal, but time was tight and we had to stick to the schedule if we were going to start the next concert on time. Several hours later and after exhilarating performances, the last concert of the weekend was over. However the work was not over for our concerts team. Our crew quickly got into action packing instruments onto the van, clearing dressing rooms, reuniting young musicians with their parents. The weekend was a huge success and now it’s time to get on with preparing our Spring Concert. Come along to our spring concert: Blackheath Halls, 19 March 2016, 19.00h. 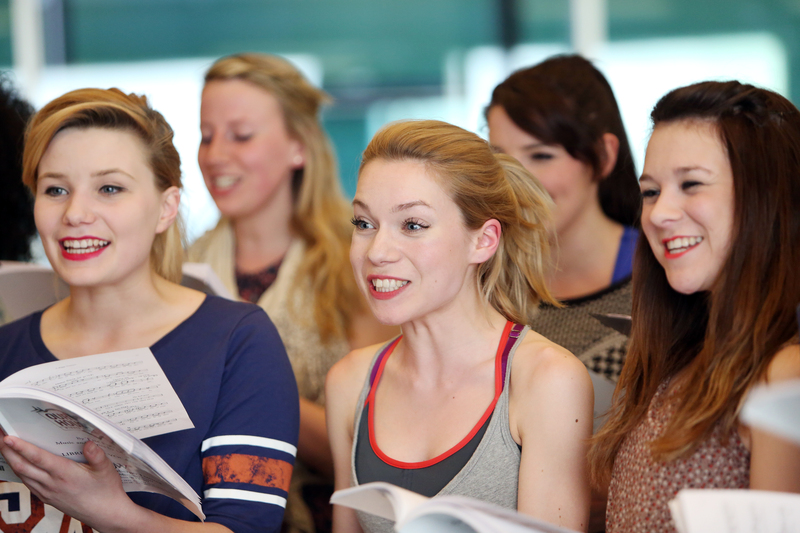 The majority of the musical theatre students at Trinity Laban are involved in 25-30 hours of practical sessions per week. On top of this, students will be participating in extra rehearsals, supplementary training, theory sessions and written work and spending additional time learning lines and working on several voice techniques. All of this will put their bodies under an amount of stress, meaning their nutritional intake is vital to ensuring they are healthy enough to keep up with a busy schedule! It is important for musical theatre students whom wish to have a long and successful career to treat their bodies as if they were instruments and understanding how to achieve a sustainable, healthy and balanced lifestyle is vital to ensuring the body can perform optimally. Micronutrients are needed by the body in small amounts and are vital to help the body to function correctly. Micronutrients are vitamins and minerals and can be found naturally in fruits and vegetables. The best way to get all the vitamins and minerals you need is to try to make your meal as colourful as possible with your fruits and veg – eat the rainbow! Macronutrients make up the majority of the food that what we eat. Macronutrients are fats, carbohydrates and protein. Fats: Healthy fats are needed to fuel the body and assist hormonal balances. You can find healthy fats in nuts, dairy products and certain meats. Carbohydrates: Carbohydrates are needed for energy and fuel the body. You can find them in starches which are found in foods containing grains, pasta, rice and potatoes. Protein: Protein is needed to help repair and build muscle. You can find it in meat, fish, eggs and quorn. When it comes to meat: the less legs, means more protein i.e. chicken or turkey has more protein than beef. It is vital to ensure your daily intake of micro and macronutrients is suitable to the activity level of that day. If you are using more calories than you consume your body will experience an energy deficit which can lead to poor performance, illness and injury. The amount of calories an individual should have per day is dependent on height, weight, activity schedule and their gender. It will also change depending on their goals… if the aim is to gain weight or muscle an individual will require a diet that allows a higher intake of calories; in comparison, if the goal is to lower body fat percentage or lose weight less calories will be consumed. In any of these cases the caloric intake will still be based on the individual’s genetics and amount of activity performed. 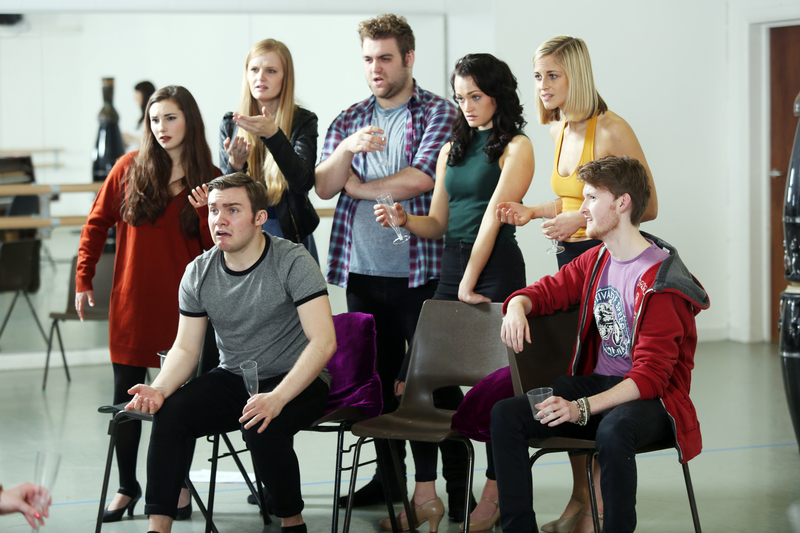 As performers who sing, dance and act, illness and injury can hinder a musical theatre student’s development and could potentially lose them a professional contract. It is vital to get enough sleep; muscles repair and process any information whilst we are asleep. It is recommended to get around eight hours sleep per night. When the immune systems begins to shut down, increasing the chances of illness and the body starts to feel run down, sufficient rest, adequate hydration and an increased intake of fruits and vegetables can help boost the immune system due to the consumption of extra vitamins and minerals. The tables below shows a variety of scenarios and the recommended nutrition information to achieve optimal performance. Performer 1 has a Body Mass Index (BMI) of 21, and is considered to be of a healthy stature. Using a calorie calculator (the formula for this can be found at the bottom of this post), it can be suggested that this performer should consume around 2000 calories to maintain this weight and should aim for 2500 calories to gain 0.5kg per week. This performer wished to increase muscle and not fat and so her intake of protein would need to be greater than the intake of fat. As she is quite active, she would also need to have a significant amount of carbohydrate. The general percentage of carbohydrate, protein, and fat for a performer who is aiming to build muscle is 40%, 40%, and 20% respectively. Remember this differs for each individual so the ratio of each macronutrient may change to suit different bodies. Performer 2 has a BMI of 24; he is considered to have a healthy weight but is close to being classes as overweight. The calorie calculator suggests that this performer should consume around 2900 calories to remain at the same weight. This performer is very active and so would need a high intake of carbohydrates for energy and protein for muscle repair with healthy fats to fuel the body. It is recommended for this performer’s macronutrients to break down as 40% carbohydrates, 35% Protein, 25% fats. Performer 3 has a BMI of 29 and is considered to be overweight. Using the calorie calculator suggests this performer should be consuming around 1980 calories per day to lose 0.5kg per week. This performer is physically active but is in the low-moderate range and aims to lower their percentage of body fat. The breakdown of their macronutrients would be 30% protein, 50% carbohydrates and 20% fats. The breakdown of each of these circumstances are based on the individual’s height, weight, age, gender, activity level and goal. However, we do not know the true intensity of physical activity which may affect the individual’s caloric intake. Each person’s metabolism and body type may also have some affect, therefore it is vital to ensure there is a full understanding of the needs and desires of each individual before implementing a chance in diet. For more information please speak to a registered physician or nutritionist. Tarnopolsky, M. A. (2008). Building muscle: nutrition to maximize bulk and strength adaptations to resistance exercise training. European journal of sport science, 8(2), 67-76. Dixon, M. (2001). Eating… and dancing-Nutritional advice for dancers from Jasmine Challis. BALLETT INTERNATIONAL-TANZ AKTUELL, (5), 72-73. Montoye, H. J. (2015). Energy costs of exercise and sport. Nutrition in sport, 53. Kenney, W. L., Wilmore, J., & Costill, D. (2015). Physiology of Sport and Exercise 6th Edition. Human kinetics.